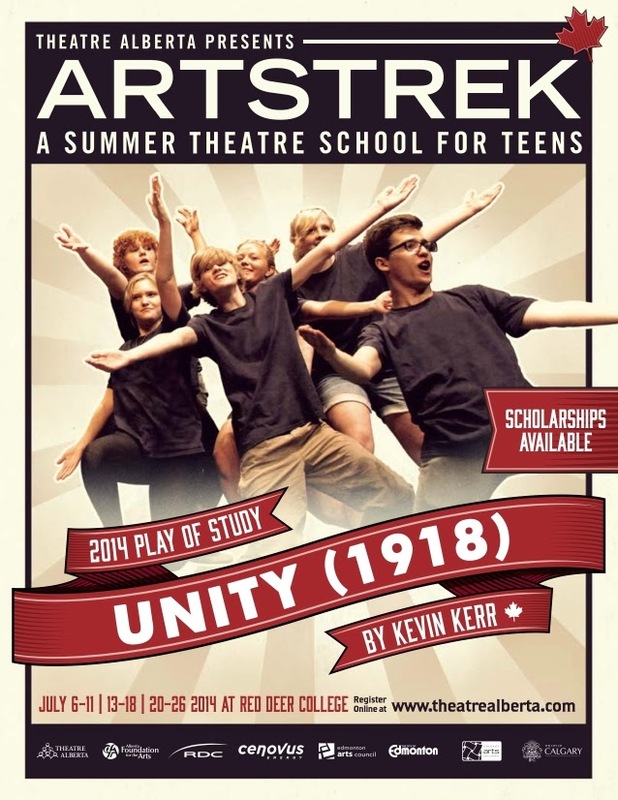 Dylan just wrapped up his week at Artstrek, the provincial drama camp for teens operated by my good friends at Theatre Alberta at Red Deer College. I had sent Dylan a couple of messages, just checking in to see how he was doing, with no response. Knowing his predilection to social situations, I deduced that he was in the perfect storm of young people who share similar passions and interests. I wasn't far off the mark. According to Heather, the kids were "yelling, hugging, crying, singing." "It was loud, chaotic, and crazy," she said. Friends were made, lessons were learned, and a world of fun was had by all. 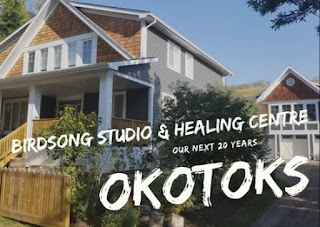 I suspect, if they are anything like I was at that age, they ended their week a little less lonely and isolated than they were before, and feel more motivated, connected, and inspired. 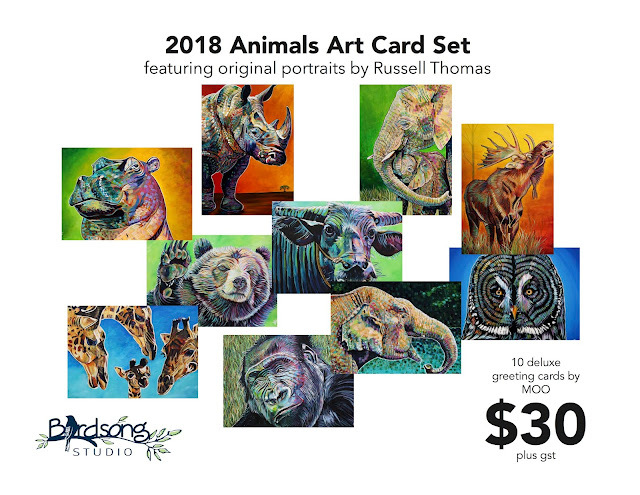 ArtsTrek delivered the goods, as I fully expected it would. "I'm definitely going back next year," said Dylan to Heather, the absolute sign of success. As parents, we want nothing more than to see our children happy, making friends, feeling valued and loved. Tears fill my eyes thinking of the powerful and positive emotions he went through yesterday, an overwhelming melange of feelings inspired by having found his tribe. It makes my heart soar to know that he experienced so much joy, excitement, connection, and meaning. 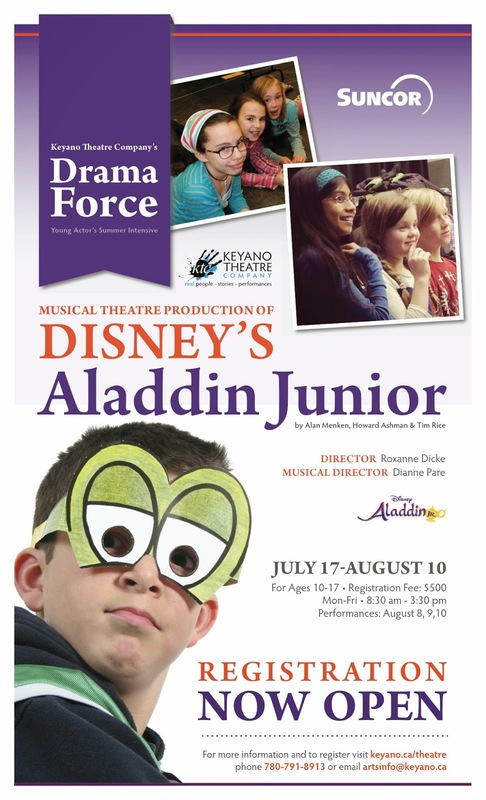 While Dylan was plying the boards at Red Deer College, Ben started his DramaFORCE adventures at Keyano Theatre. Picking him up at the end of the first day, sweat glistening on his brow, I knew that it had gone well. He had that look in his eyes that spoke volumes about how much fun he had. Like his father, Ben struggles with the dancing element of musical theatre (they are working on a production of Disney's Aladdin Jr.), and experienced a certain level of frustration with learning the choreography. But by day two, he was already feeling much better about the steps. "It's hard to sing and dance at the same time," he said. Ain't that the truth. I had immediate traumatic flashbacks to learning the moves in the "Sweet Home Fort McMurray" scene of Hometown...The Musical! as soon as he said it. I remembered feeling pretty useless during the first few weeks of working on that particular number. After a very long and full second day, the first thing he did when we got home was pull out the CD of the show music and began practicing in his room. I smiled, knowing that DramaFORCE was going to be another gift of summer, different than ArtsTrek, but still powerful and wonderful. I'm grateful to the organizations, sponsors, professionals, volunteers and parents who make these kinds of opportunities possible. They are important, fundamental islands of creative exploration and socialization that help children bridge into adulthood. The deserve to be celebrated and supported.